That, my friends, is my scared face. Day one of Crossfit, but, I survived my workout at EverProven. I had faith that Andy wasn’t going to kill me, and surprise, I made it! I also think I need to work on pushing myself, because I wasn’t sweating by the end of the workout and wasn’t sore… well, I wasn’t sore until an hour later when I couldn’t peel myself out from the couch. But I do think I’m going to like Crossfit. Not for the reasons that I think Andy would like me to like it. I’m not fond of the weights yet, and the warmups are hard. What I actually like is the competition. I know, I shouldn’t be competing against anyone but myself. But it’s my nature. I like to win. Which means during the WOD (workout of the day), I’m pushing myself as best I can to beat the time. And I was super proud that during my first class Abby and I weren’t last. I know it was my first class, but I wanted so bad to get as close to finish as possible. 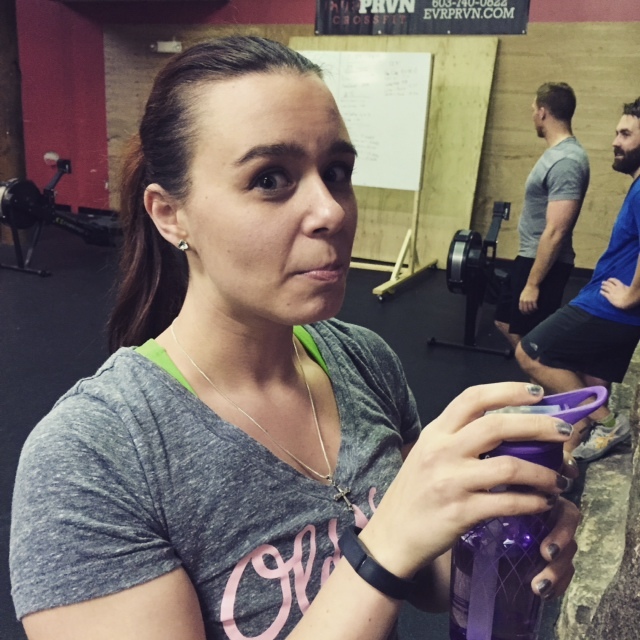 We had to do 5 rounds of 14 calories rowing, 40 wall balls, 40 dips – splitting it each round. 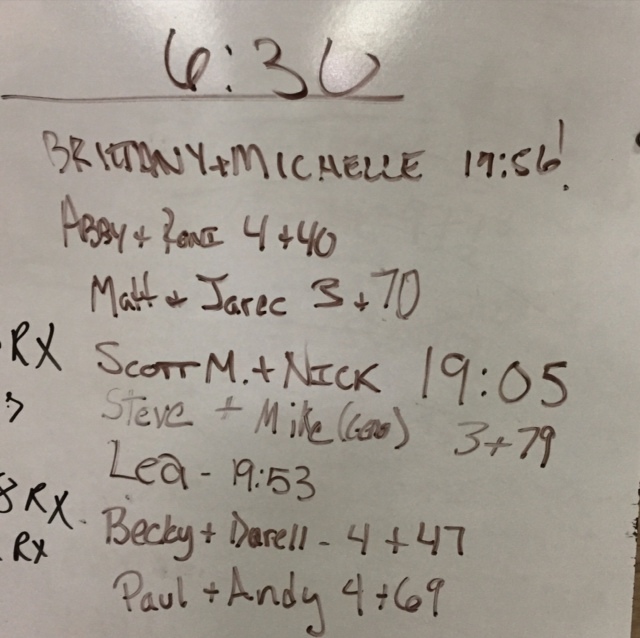 (So Abby did 7 calories rowing, then I did 7 calories, then she did 20 wall balls, then I did 20 wall balls, etc.) We were 14 wall balls and 40 dips away from completing the time in 15 minutes. So.. 4 rounds + 40 reps. Woot! Andy did great, too! Was super close to finishing as well. Review the Mechanics of the Deadlift in a large group… ready go style. Use a PVC pipe or unloaded bar. Pause in each position while coach reviews body placement and makes the proper adjustments for correct moment. 5 Rounds for time with a partner. Switch at the halfway point on all movements. 18 min time cap.